May Lee Homes – of a Mummy Realtor's Musings of Life, Love and Properties. of a Mummy Realtor's Musings of Life, Love and Properties. We try to have an annual family photo shoot. Honestly, I don’t know how long this would last. Maybe one day the kids will be like too cool for such things. Ohwells, I will take what I have for now. Lol. Unfortunately, Megan was fairly ill for the 2 days in Sapporo. Hence, having taken some medication, she looked real drowsy in the photos. Suffice to say, Gillian and I were the ones who were more excited for the shoot since we got the chance to dress up and get make up and hair done. Ryan was grouchy that he had to wear a ‘dress’. E was okay. Just busy coaxing Megan since she only wanted him to carry her. Mituki Sakura is a kimono salon where you get to select a kimono of your choice(of various price range), get yourself dressed up by professionals and have your hair/make-up done as well. There is photography service provided for an additional fee. The photographer gave us 3 options to choose from for the location shoot and we decided on the temple shoot because it was partially indoor(therefore heated and would be more bearable for Megan who was feeling poorly). Interestingly enough, our children, at that point in time were age 3, 5 and 7. Apparently, in Japan, Shichi-Go-San (七五三, lit. “Seven-Five-Three”) is a traditional rite of passage marker to celebrate the growth and well-being of children. Also, the ages 3, 5 and 7 are consistent with East Asian numerology, which holds that odd numbers are lucky. Anyways, my point is that we could have some ‘ceremonial’ option for a small fee for the children when we were at the temple, which we did. Even though the religious part is different, that does not dilute our thankful hearts for all our 3 children. The children had quite an experience, playing and running around in the kimonos. The photographer also got E and I to pose for some couple shots which had quite hilarious BTS(behind the scenes). I suppose we are no longer as romantic as we were 9/10 years ago. It is odd considering how much we went through over the years(which is alot, btw). We, or maybe I should speak for myself, I am not giddy in love or head over heels with E. I am in a familiar and comfortable stage with E, where I know we have our backs for each other. Towards the end of the shoot, it got much more chilly and the little ones were uncomfortable. We ended the 2 hour shoot quickly and went off to change back into our normal wear before heading to the Shiroi Koibito Park. We could have worn these traditional clothes for the entire day since we rented them. Honestly, it is not feasible when travelling with these little munchkins. Overall, it was a memorable experience for all of us. Glad that it came along with some beautiful photos to print for our house. The mess in the living room, along with prep for ski holiday. I am not sure about others but wow! E and I were blown away by how awesome Club Med Sahoro was. Service was impeccable and the hosts were warm and welcoming. For once ever, I felt recharged during a holiday with the kids. Like I am not spending half the time, mothering everyone, feeling high strung and mentally exhausted. Erhm…maybe it is just because for all our previous holidays, they sort of involved a semi-drama. Not even kidding- along the lines of missing passports, lost luggage, almost missing transport, a ‘semi-ghostly’ encounter… Incredibly stressful. I mean, looking back, we do get lots of laughs about it but not when it was happening. Like. No. First day at Club Med- the kids were whisked off to their Mini Clubs. Because there was not enough snow to start our snowboarding classes, E and I just lounged around the resort, went for a snow hike, dipped in the Canadian bath, drank some more at the bar….ya’know. Just idling around. I almost felt like it was a mini honeymoon for us, since we mostly hung out and took photos of each other or together. Lol. The thing is, it is not that bad to have some couple time with E during the trip when you know the kids are at some super children’s club, being taken care by very enthusiastic carers(who look like they like kids). Helps when there is an open bar. Haha. Anyone’s mood would be improved with some drinks. The kids presumably had fun with their peers and being well-taken care of by their carers. Mainly, we met up for breakfasts, dinners, post dinner shows. They eat their lunch with the friends in a dedicated area at the restaurant. The first hour after the kids left for the clubs. Soaking in the hot tub in the cold- Daebak! Peace and quiet over lunch. Having a tea break with the little ones. Another round of evening drinks with the kids. Macarons! I must have eaten like 8-9 of them every time they have it for dinner. Food wise, everything is decent. The kids enjoyed the food- basic tomato pasta, soft serve which were served daily kept all three sated. The restaurant does make an effort to jazz it up a little for dinner daily with Waygu beef, Taraba crabs and all. Nobody is counting calories here. In between our Club Med trip, we decided to take a short 2 day trip to Sapporo because there was not enough snow to start any lessons. On hindsight, that was a wise decision as we managed to get a family photography done wearing kimonos, visit a Shiroi Koibito Park, checked out a Pokemon store, ate at the Sapporo Ramen Yokocho. All these posts will be for another day tho’. The snowboarding classes at Club Med were superb, like the instructors we had were professional. This is important as we were introduced to the activity in an enjoyable and safe manner. I heard of a number of negative reviews of snow sports activities and sometimes I almost feel the instructors/environment would make/break the experience. Our classmates whom we had for our lessons were mostly Singaporeans and just as friendly. I am absolutely thankful because everything felt positive. Starting our SB 1 together. Ryan, prepping for his ski trip. Did not take any photos of them in class since we were busy with our class as well. Gillian, enjoying some snacks and chocolate milk shake after her ski class. Celebrated E’s birthday. Thank you so much for being there in all our lives! Ilu! And we brought all the little ones for a dip in the Canadian bath! So much laughter and screaming involved! Haha! E and I managed to block out some time for snow play with the kids. It could have been longer though. Maybe the next time? Ryan loved the snowball fights with E. Megan liked being pulled on the mini sleigh. I believe the kids had a ball of time at Club Med as well as they are begging to revisit the place. I wouldn’t mind a second time as well. What do you say, Mister E? I thought it will be a good idea to have a monthly gratitude post as it will remind me of all the goodness, kindness, beauty of God and of life. Given my cynical nature, I find it easy to dwell in bad moments/experiences and to just grumble. As most of us know, such emotions are just unhealthy for ourselves as well as our relationships. One way of how I take time to recollect and give thanks is through taking photos and looking back at them. Whilst not everyday is the way I want it to be, I am grateful that God provides me with all that I need daily. My loving family, good food and a beautiful shelter. For starters, it is not improving exponentially but at least, there is lesser resistance. His Chinese teacher this year seem to be much more tolerant of him and have been encouraging him through positive words. Hence, he seem to be okay in getting his tingxie sorted and there are much lesser tears involved when we are tackling his school homework. Jia you Ryan! Don’t think you will be reading this post but one day, if you ever do, my heart is always rooting for you even when my words don’t seem to be. lol. I am thankful that the children recovered from their cough and that once again, Megan’s skin is on the mend. Health is something that we so easily overlook but it is a blessing to be able to do daily activities without much struggle. For example, now that Megan’s skin is on the mend, she rarely bleeds when she scratches and would be able to concentrate better on her tasks. I am still in my first year of property and it has been truly interesting because of the people I meet and the houses I see. I think the relationships established over that period of time is special to me. Once strangers but when I become a marketing realtor for their homes, it is almost inevitable that we meet on a frequent basis. It is only then you find out more about their lives and who they are. Over time, you do grow fond of them and enjoy conversations with them. One of my clients even gave my children red packets. That is so sweet of him and I feel incredibly appreciated by him and his family. Another of my clients also have inspired me to run a bit longer every morning. She, herself is also a lark and easily runs 7km on her cardio days. Ever since getting to know her, I feel inspired to run a wee bit longer on weekdays as well. It has been quite positive actually. Hope your Januarys have been well and may you always feel that you have ‘enough’. Hello All! Happy Year of the Pig, y’all! I was meant to write on Monday but it was the Chinese New Year Eve and everything have been whirlwind ever since. Pineapple tarts, bak kwa, steamboat, cakes and packet drinks. Repeat the cycle twice or thrice in a day. Wow! I always have mixed feelings about huge gatherings over the festive seasons. Honestly, I am okay with all the get togethers. But the intensity is another thing. Lol. Anyways, it is nice to see how the children enjoy their off days from school. The plan for this blog post was to write about my love for furniture vis-a-vis getting carpentry works done for my homes. I have moved 7 times and I belong to the group of people who enjoy such normadic lifestyles. Throughout my job and life, I do observe there are people on the other end of the spectrum who like staying in a place for at least 10 years or more. Different. Similarly, I know of people who likes getting all sorts extensive carpentry works done in their homes- from the made to measure bed frames, to sofa, to shelves and whatnots. For my homes, I like to have as minimal carpentry works done as possible, which pretty much means stuff done in the kitchen and toilets only. (Unfortunately, I don’t have any one to recommend for ID works. The two that we have engaged before have left much to be desired.) The rest of the shelvings, tables, cabinets, bed frames would then be bought from various furniture shops. I like to have this small little backstory of how E and I got to a decision of getting this item together and where did we eventually find it. E and I have many of such memories and some of them can be quite hilarious. Legit. Most of our furniture were from Ikea, Commune and Celini. There are some who feel Ikea is of poorer make compared to carpentry works. But the quantum is so low that if you ever get tired of the look of it, there is always the option to sell it away(on Carousell, Facebook Marketplace or Craigslist) and get something else. E and I have successfully sold many of our old furniture/items through these portals. The little ones helping E to fix up all our Ikea furniture. This is our favourite part of our house- the wall and our Samsung Frame TV. E and I had a long debate of how our TV console should be like and the budget that we were okay to spend on it. Definitely loving these Kallax shelvings from Ikea- functional and aesthetically pleasing. Not much changes to the kitchen as well. I kept the old cupboards and get the ID firm to give the doors a nice varnish. The doors of the cupboards were made of solid woods and I thought it was a pity to replace them with the modern looking doors that were made of chipboard. So we basically changed the splashback to subway tiles and the surface of the kitchen top to granite. We used the old wardrobes installed in the master bedroom. Just like the kitchen, we gave the doors a nice lick of varnish and they do look a wee bit smarter. My dresser, mirror and cabinets were from Commune, a local furniture brand. They carry a number of beautifully designed and carefully crafted pieces. Choices were aplenty if you were into the dark, wooden theme. No carpentry works done in the children’s bedroom. We only bought very simple white Ikea furniture. I suppose the colours of their toys and books would make the place just as vibrant. How is it like for you when you plan for your home ID then? You can read more about my thoughts on home renovations, interior design and furniture here and here as well. There is this trending topic/post in the January 2019- the #10yearchallenge. It is funny how in the January of 2009, I was a teacher, in a fairly new relationship with E. We were dating , learning salsa and spending most of our weekends doing fun activities with mutual friends. I was also conscious of my weight but was more into dieting, so lots of small portions. January 2019– I am married to E for 9 years come June. I have 3 not so little(but awesome) ones. I am in my official second career as a realtor. For the past 9 years, E and I have been through quite significant changes in terms of housing and location of stay. We bought, sold, rented as tenants and as landlords before. In E’s words, ‘It is not so much the length of the relationship but the mileage of it.’ Our weekends are work(for me) and E ensuring the kids go off for their activities. I am still conscious of my weight(I stand at 52kg now. Sighh… Weighing machines and me are like arch enemies,) but instead of dieting, I try to exercise in order to fit into my clothes. So on the surface, many things changed- my relationship status, the number of children, my job, my house and so on so forth. But, delving deeper, I do find my personality changed too. As much as youth is a precious commodity, I enjoy being in my mid 30s. It is nice and stable. (I am not one for the heights of ecstasy or depths of depression.) I like constant and balance. So far, being in my 30s or rather as the years go, I feel better and stronger of my being. 10 years ago, I always wondered what was going to happen and if I was ever going to be ‘happy’. I was nervous, self-doubting and always wanted social acceptance. On hindsight, I do think all these feelings were because I did not feel anchored. With E and the kids, my personal/family goals are more defined and this clarity was what I needed. What I like about E is that he is a superb motivator. Trust me, if you are feeling negative or horrible about yourself, you should speak to E. He is just the ever optimist and is able to see good in almost everyone. When I have terrible days and I feel bad, he is able to see beyond the ‘calamity’ and tell me what I did well and how to move forward from that point. So dear me in 2029, I hope you like being in your mid 40s, embracing the greys on your head, enjoying time better with loved ones, and are more Christ-centered in life. Hello there guys! It has been a while. I stopped blogging for an entire year and tried out Instagram to share about my life and stuff. The dynamics of blogging and Instagramming are entirely different. Blogging feels reflective as more time and effort are involved. In contrast, Instagramming feels more about recording of the daily happenings. I like both. I miss the ‘writing'(actually more of typing down) my thoughts and re-reading them at another point in my life, with emotions ranging from bewilderment and nostalgia. 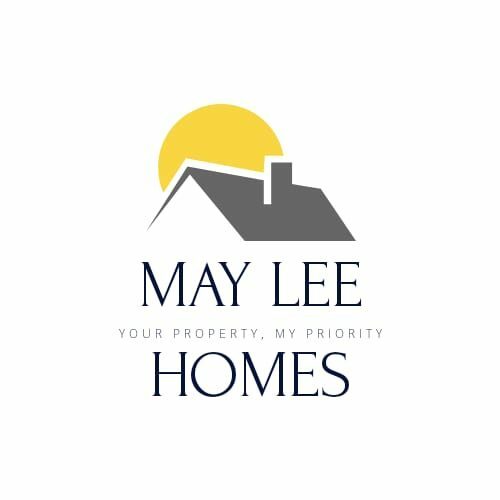 Oh… my new blog name is May Lee Homes! Is there any surprises there? I have been through several blogs over the years. Truly in Love had a good run but I thought since I am entering a new phase in my life as a mid thirty-something working mother, a new blog address would be nice. Unlike my old blog, I will try my best to share lesser on the little ones. The little ones are not so little anymore and I think it would be ideal for them to create their own digital footprints So, I imagine this is not much of a Mummy/Parenting blog but more of a diary of a middle aged woman’s ramblings on her attempts to balance love, life, kids. Blogging has always been therapeutic and allows me some sort of needed clarity in my life. Perhaps this will be a good avenue for it.